Di Gunung tertinggi ke dua di Pulau Jawa ini, peserta akan dimanjakan dengan keindahan tersendiri dari gunung berapi yang masih aktif di Indonesia ini. Sensasi mengitari kawah belerang yang masih aktif juga akan dirasakan oleh pelari yang mengambil kategori 35 K. Jalur yang menantang menjadi tantangan tersendiri bagi pelari yang menyukai olahraga alam ini. 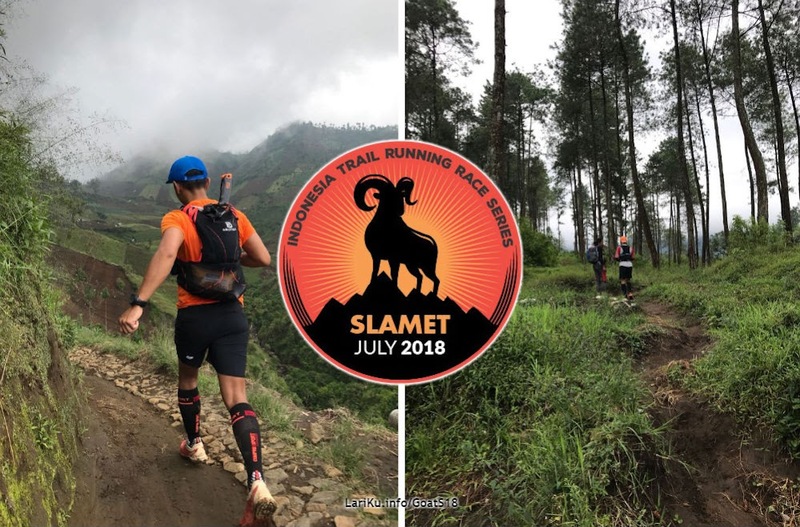 The 2nd series of Goat Run 2018, will bring you Gunung Slamet with its pristine beautiful course that will challenge your strength and endurance with 2 race courses, short and long distance. 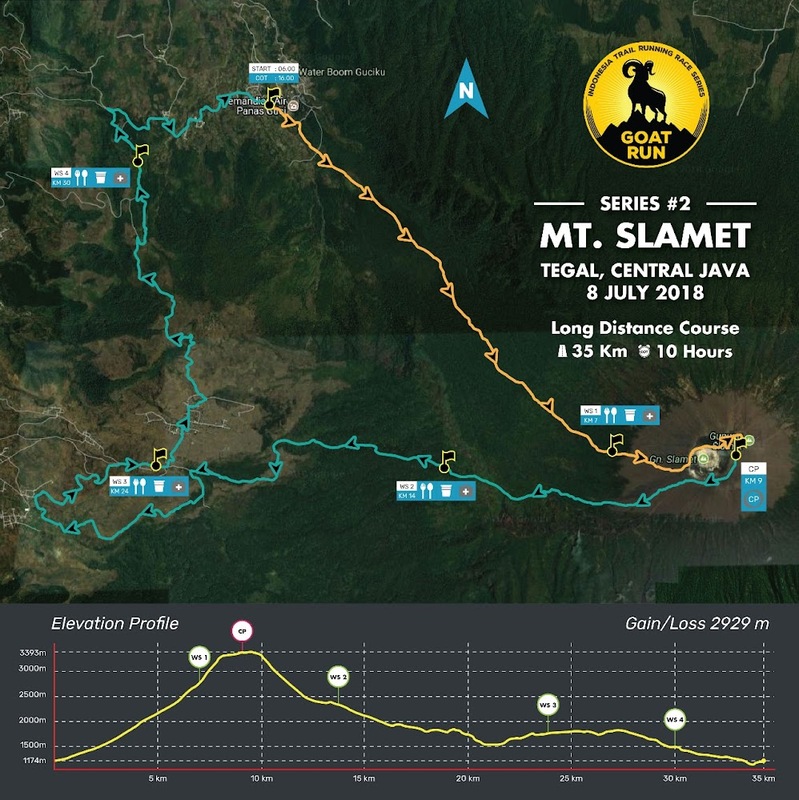 Both race course will take you to the highest location in central Java and the 2nd highest Mountain in Java. Slamet is one of Java’s active volcanoes and there is almost always lots of gas around at the crater giving you real volcanic experience. The participants will be spoiled with its own beauty from the active volcano in Indonesia. It is also one of the best places to see both the north and south coasts of Java. Both race course offering running across dense tropical forest, steep and rocky climb to the summit and going through some local farmer plantation with its stunning view of the entire valley. On its clear sunny day, you will be running with Mount Ceremei on your background.